Jillian Blackwell is currently a Microsoft Executive working in the Department of Defense helping the Army and Navy with their digital transformation. She started her love for business and entrepreneurship at the age 10 with her paper route in Detroit, MI. Now with over 20 plus years of professional sales and marketing experience, Jillian has held various positions at some of the top Fortune 500 companies such as Xerox, AT&T and worked overseas at Saatchi & Saatchi advertising. Jillian has three passions, helping the next generation dream big, working with women in business and her family. 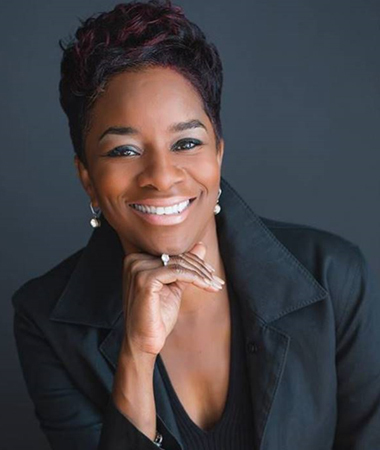 She currently serves as the Worldwide Chapter lead for the Blacks at Microsoft (BAM) chapters and is the Chapter lead for BAM Michigan chapter. She was the past president of NAWBO Excel a nonprofit affiliated with the National Association of Women Business Owners. Jillian attended Wayne State University and University of Michigan- Dearborn. She teaches a woman in business class, and co-authored My Girlfriends Business Prayer Journal.